Banh Street in Abington has a special this week that puts a Vietnamese twist on a classic Canadian dish. Classic poutine from Quebec is simple: French fries topped wiith cheese curds and slathered in gravy. 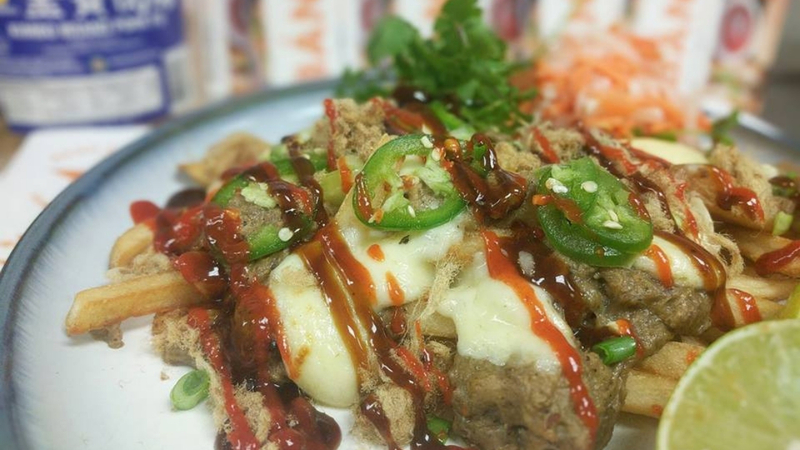 Banh Street’s take on the dish starts with a base of its fries topped with pulled pork, mushroom gravy, two kinds of cheese curds, cilantro, jalapeños, pickled daikon and carrots, and a drizzle of hoison and sriracha. Call (267) 626-2698 or click here to place an order online. eating poutine at Banh Street.